I stumbled across Love & Pepper whilst browsing online. The cute packaging grabbed my attention so I had to dig a little deeper. Ingredient information on the site is lacking for some products and I decided to drop them an email. Lucky for me, Love & Pepper were prompt in replying, normally I experience the email equivalent of tumbleweed. I asked Love & Pepper "...are products free from parabens, mineral oils, artificial colours/fragrances, SLS/SLES/ALS, PEGs, urea, lanolin and animal testing (Vegan or Vegetarian friendly?)." The response was ....We are a tiny boutique of handmade cosmetics. We aim to be as natural as possible and as vegetarian as possible (depends if you count beeswax/ goats milk both of which we use but not Lanolin or Urea) - we buy ingredients from wholesalers who give us an assurance that no ingredient has been 'knowingly tested on animals' and we ourselves test all our products on humans only. In our creams we have to use a preservative as part of our licensing so in these cases we use Geogard Ultra this seems to be the only preservative approved by the soil association at present so we chose that one. In body butters, oils and lip balms we do not include any preservatives as water is not a part of the formula and we don’t use mineral oils. In aftersun body spray 'Cloud' we use potassium sorbate as our preservative. All ingredients are naturally fragranced with essential oils. We never use artificial fragrances because we don’t much like them and we also don't like the pong! We use only mineral oxides to colour our cosmetic lip tints and do not use colours in our creams at all. In our soap; The colours used for our soaps are soap dyes- some natural and some artificial. Our soaps are sls but not sles free at present and SLS, SLES is not used in any other products. Aside from the soaps, it looks like everything else meets my ingredient standards so I wanted to share with you guys. So what do you think? 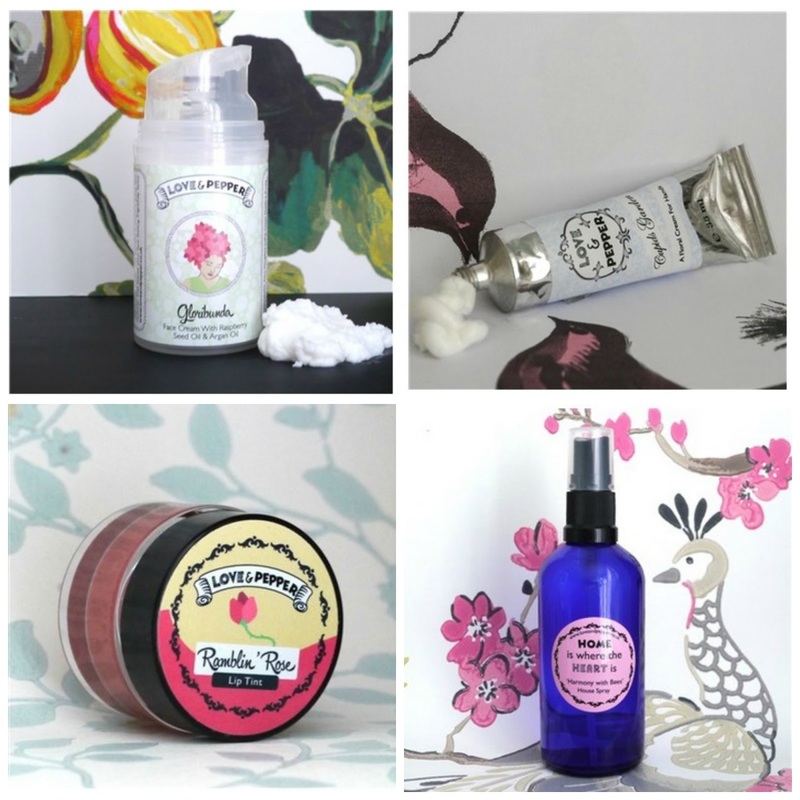 Will you be trying products from Love & Pepper? The packaging is gorgeous! You guys have so many adorable green brands over there.